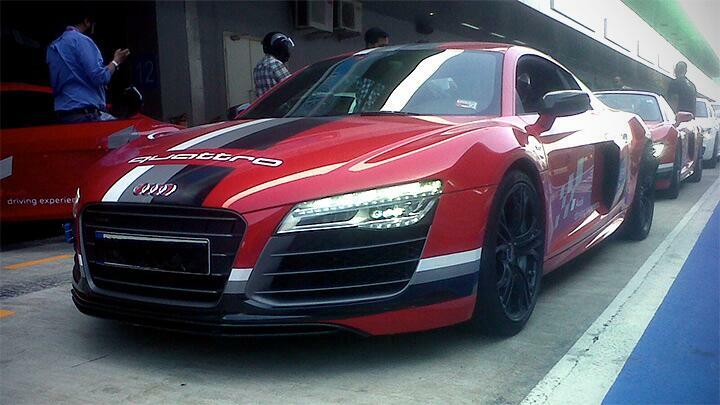 This, my friend, is the maddest, fastest version of the maddest, fastest Audi that you can buy in India. It still has the Lamborghini-sourced 10-cylinder 5.2-litre engine but it’s now tuned to put out 542bhp and an earth-shattering 540Nm of pulling power. The engine revs right to 8,700rpm bring out that sort of insane power figures. With that mid-mounted engine, the R8 Plus can hit a ton from standstill in just 3.5 seconds. That’s tenth of a second quicker than the regular R8. Carbon fibre used on the exterior of the side-blades, exterior mirror housings, front spoiler and rear diffuser reduces the weight, resulting into an even better power-to-weight ratio compared to the regular R8. You get the same all-new seven-speed S Tronic transmission that you find the R8. Of course, all that power and madness doesn’t come cheap. You’ll have to shell out Rs 2.06 crore (ex-showroom, Maharashtra) to have a R8 Plus parked in your garage. That’s almost Rs 30 lakh more than the regular R8. The Audi model range in India includes the Audi A4, Audi A6, Audi A7 Sportback, Audi A8L, Audi Q3, new Audi Q5, Audi Q7, Audi S4, Audi RS5 Coupé, Audi TT Coupé, the super sportscar new Audi R8 and the new Audi R8 Spyder, Audi R8 V10 Plus available across the country in Ahmedabad, Bengaluru, Bhopal, Chandigarh, Chennai, Coimbatore, Delhi South, Delhi, Goa, Gurgaon, Hyderabad, Indore, Jaipur, Kanpur, Kochi, Kolkata, Ludhiana, Lucknow, Mumbai, Nagpur, Navi Mumbai, Pune, Raipur and Surat.